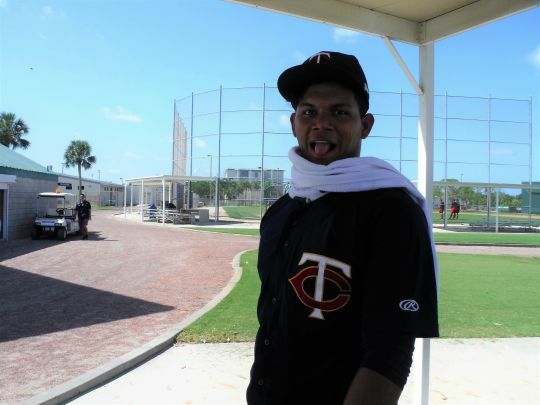 As I've mentioned before, Reusse's pre-spring training articles from Ft. Myers are the best. Here is one on hard-throwing Brusdar Graterol. Great stuff and quotes. Graterol stayed in Ft. Myers this offseason and continued to work out. I'll look for him tomorrow. That was a fun write up and I think he is going to be a special person.A good attitude counts for a lot.I always thought Berrios positive attitude would carry him beyond is raw talent, and it is. From my years on the backfields, Romero and Graterol have a much similar personality than Berrios.You could always tell where Fern and Brus were at because they're usually the life of the party, very animated, gregarious kids while Jose is more reserved than those two.